Augmentation is one of the most common and least understood problems encountered with RLS treatment. 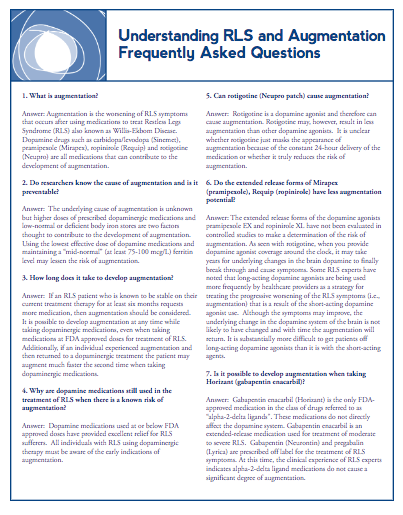 Augmentation is defined as a worsening of RLS symptoms that occurs after starting a dopaminergic medication to treat RLS. 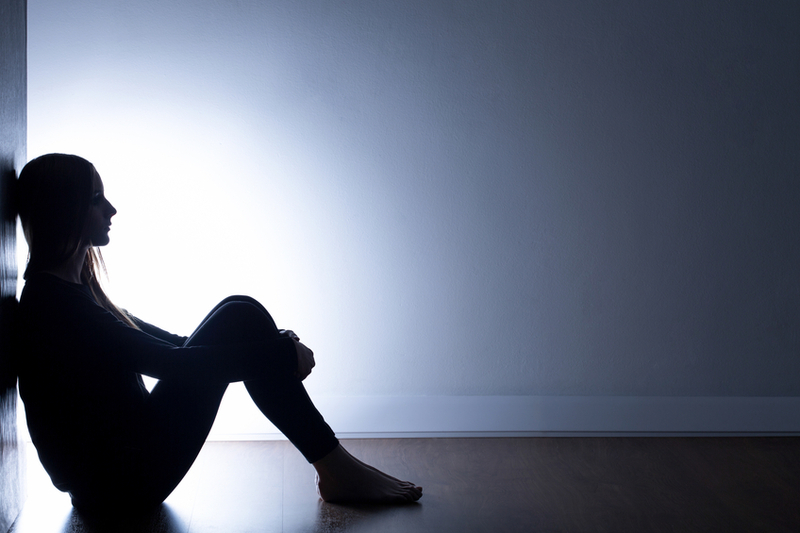 The medication is effective when it's first started, but over time symptoms worsen or return to what symptoms were like prior to starting the treatment. Are symptoms getting worse since starting treatment? If your answer is "YES" then you may be experiencing augmentation. Watch this video to hear from a variety of people that have experienced augmentation and share their experience to help others. You are NOT alone! Inside: A deeper look into the causes and signs of augmentation, related to dopaminergic RLS treatment. Inside: Answers to the questions most often asked about the common problem of augmentation. 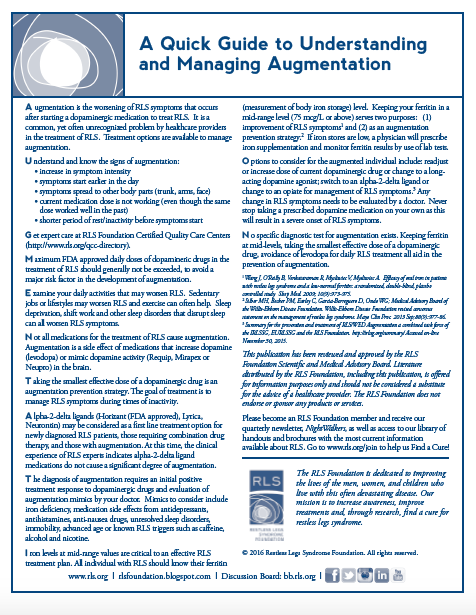 Inside: The signs and causes of augmentation, a common issue associated with dopaminergic RLS treatment. 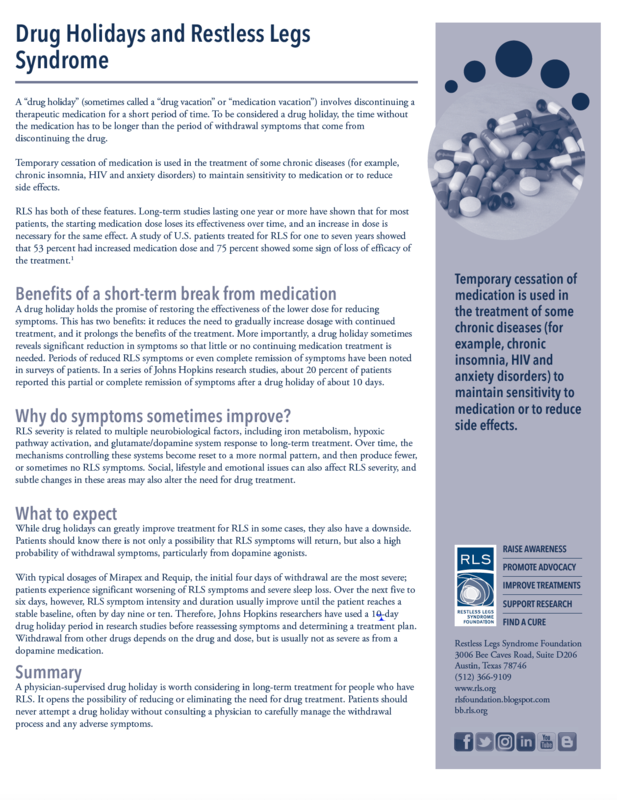 Inside: Learn more about the benefits and what to expect when discontinuing a therapeutic medication for a short period of time.